Ours is the one-stop destination to obtain durable and precisely designed MNC Self Lubricated Plug Valve. Designed to fulfill various requirements of buyers, our Self Lubricated Plug Valve is appreciated for robust construction, high corrosion resistance and accurate dimensions. 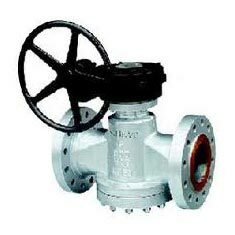 Moreover, our valve conforms to all industrial standards and free from defects. It is a powerful valve that provides consistent service for longer term.